In 2007, the US Army's 173rd Airborne Brigade posted to northeastern Afghanistan's Kunar Province. Battle Company, the best within the Brigade, was assigned the toughest Area of Operations. It was called the Korengal Valley. During their 15-month tour, Battle Company saw more combat than any unit since Vietnam. 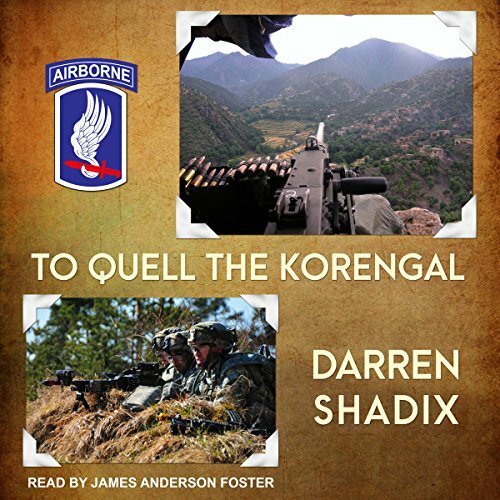 Raw and unapologetic, To Quell the Korengal is a first-hand account of life on the front lines. 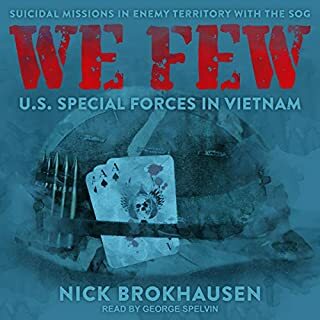 Written by a grunt on the ground, it is rife with gun fights, grueling foot patrols, a villainous company commander, the austere routines of the American soldier, and the kind of humor only found in war. 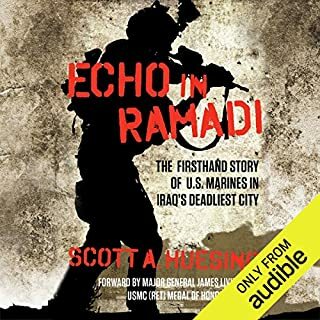 I don’t think this is as excellent as House to House Outlaw Platoon or The Outpost, and there has been a decent amount written/documented about Restrepo (the medic, the base)....BUT that said this is a great memoir, good amount of action although I could use more dialogue even if it is only a guess (because no one wrote down exactly what they said in this battle, or that meeting with an elder). I could read every one of these books when they are written this well. Above avg narrator too. It sparks in me what every one felt on Sept 12, 2001 and why some took up the call to fight overseas. A good rendition of been there, done that. Nicely put in Real World Language not sugar-coated or sanitized. 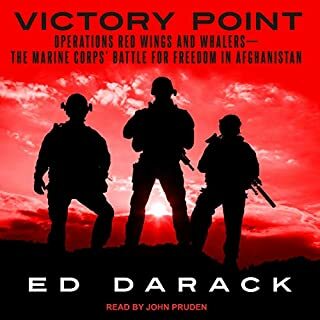 A great insight in to the Afghan war. Would recommended this book to anyone. A thrilling listen. 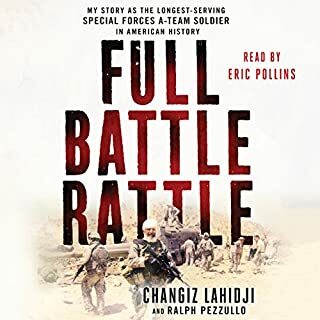 If you want to know what its like to be infantry, in a war this is an excellent account. Well written and well narrated. A birds eye view of being an infantryman in the hottest spot in Afghanistan at that time. One of the best accounts I have ever read on this war from a foxhole point of view. 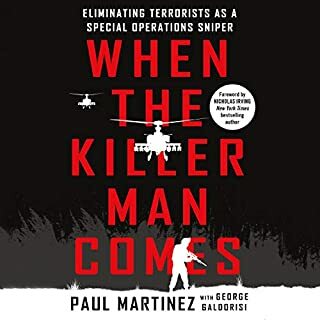 As a retired Army Infantryman myself I can relate to this book well and tell you that he gives you a very good inside look at what its like, the hardships, the insanity, the comradeship and much more. Highly recommend. Excellent account of what was going on in Afghanistan while the Iraq "Surge" was finishing. Narrator did an amazing job of describing life and conditions in combat. A good followup to the book of Chosen Company's experience in the same region. A solid story, surrounded by mystery. A great memoir of the Korengal, and Rock Avalanche. Although down played, the author has a great perspective. His CO seems like the cookie cutter ladder climber, which must have been aggravating. I can appreciate his sacrifice, and thank him for his service. 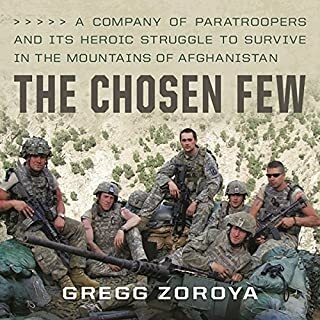 It's not great per say but it's a very in-depth look at the life or lives of us soldiers in afghanistan. the war that was worth fighting, unlike Iraq. in the end the us did what it always does. Just pulls out and leaves everybody there hanging their necks out. I do think it was very similar to Vietnam except I think we won this one, minus the fact that Taliban and al-Qaeda are still kicking. should of just leveled it all and if anybody survived they can start over. funny, yet serious and very true account told by someone who is be scared of being honest. fantastic read. one of the best Afghan accounts I have read.